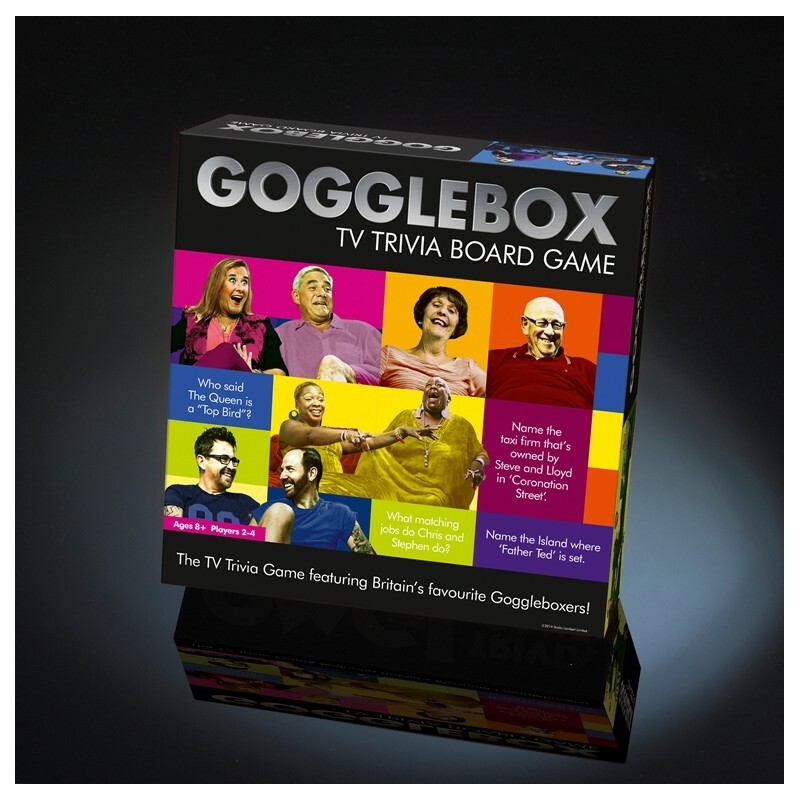 Gogglebox is a fun-packed TV trivia board game based on the BAFTA winning observational documentary series. Gogglebox can be played by up to four players or in teams. Each starting on the nearest ‘Start’ space to them the players must successfully negotiate their way around the coloured squares on the board answering TV trivia, ad break questions as well as questions on the Goggleboxers themselves to try and win Gogglebox tokens. Each player takes it in turn to roll the die and move onto the appropriate space, different colour spaces represent different types of question or activity. Landing on a yellow space can mean having to return some of your Gogglebox tokens or steal some extra ones! The TV Trivia includes questions such as ‘Who called the Queen a ‘top bird’? and ‘Name the island where Father Ted is set’. The Gogglebox space means it’s a multiple choice question on the Goggleboxers themselves! This fun-packed game is perfect for after dinner entertaining or just for playing with friends and fans of the show. It is certainly guaranteed to test your TV trivia knowledge!